Dyson, the British company best known for vacuum cleaners and prized hair dryers, said Tuesday it will build its new electric car in Singapore as it joins the increasingly crowded race to create the next generation of clean vehicles. The bespoke manufacturing facility is due for completion in 2020 and is part of a 2.5 billion pound ($3.2 billion) investment in new technology globally. Dyson did not say what kind of a car it hoped to produce, or how many a year. But it is set to at least try to get a foothold in the electric car industry, where visionaries like Elon Musk at Tesla have struggled to translate ideas into profits. Other car makers also are ramping up their investments in electric cars, but there's no clear front-runner in the field, said David Bailey, a professor of industrial strategy at Aston Business School. Bailey guessed that Dyson would shoot for a premium product—aiming at Tesla, BMW or Jaguar. Given Tesla's challenges, it is likely to not be simple—particularly since Dyson doesn't have the infrastructure other carmakers do, he said. "I do think they underestimate the scale of the challenge," he said. The location in Singapore would put Dyson close to the big and growing Chinese market, where carmakers are increasingly focusing sales. The country is preparing a big shift to electric cars to fight its heavy levels of pollution and to modernize the economy. "Dyson is one of the new players in a profoundly changed market," Bailey said. "The race is on." The choice of Singapore, meanwhile, will raise eyebrows in Britain, which was hoping Dyson would invest more as the country prepares to exit the European Union. 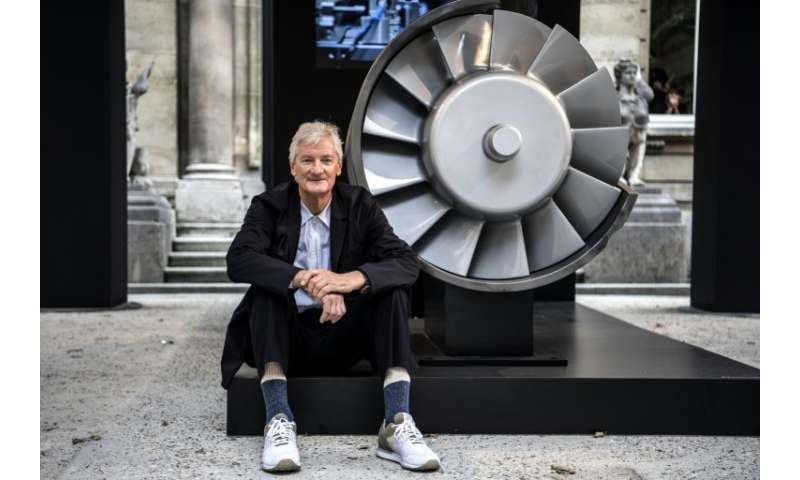 "The decision of where to make our car is complex, based on supply chains, access to markets, and the availability of the expertise that will help us achieve our ambitions ... ," Dyson CEO Jim Rowan said in writing to the company's staff. "Our existing footprint and team in Singapore, combined with the nation's significant advanced manufacturing expertise, made it a frontrunner." Billionaire founder James Dyson has been a prominent advocate of Britain's departure from the EU. His critics immediately suggested the company's decision was hypocritical, given that the U.K. is destined to leave the 28-nation bloc and market of 500 million in the coming year. "It's hardly a vote of confidence in global Britain," said Ian Murray, a Labour Party lawmaker and supporter of an organization fighting to keep Britain in the EU. "When even someone who claims there will be a resurgence in British manufacturing after Brexit isn't prepared to put his money where his mouth is, it raises serious questions about the future of our economy and the impact on jobs and livelihoods as a result of Brexit." Automakers such as Ford, Nissan and Toyota have expressed concern about the potential impact of Brexit on their operations without a deal. Britain's car industry, which employs 814,000 people, relies on manufacturing techniques in which cars are assembled, not forged in a single place. Critics fear such "just in time" manufacturing techniques will be endangered by new border rules and tariffs on parts as they cross borders to be inserted into cars. But Dyson doesn't have the same issues as other carmakers, as its manufacturing facilities are in Asia. Though it has research and development facilities in the U.K., where it employs some 4,800 people, it makes nothing in the country. Ah, the great "British" manufacturer strikes again.